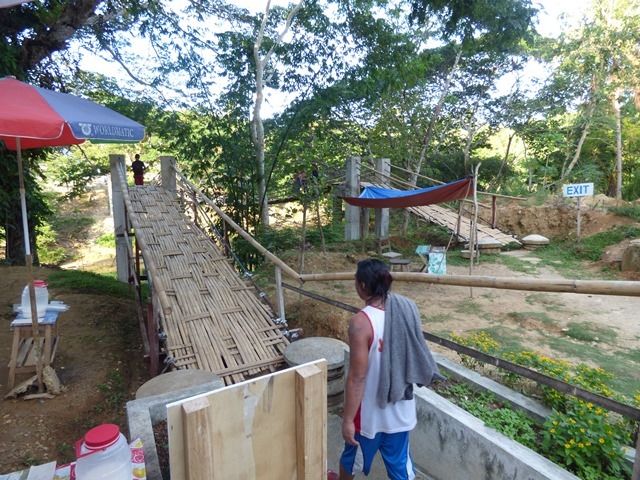 The Bamboo Hanging Bridge is in the Barangay of Sevilla, Bohol. It’s suspended 82 feet over Sipatan River. 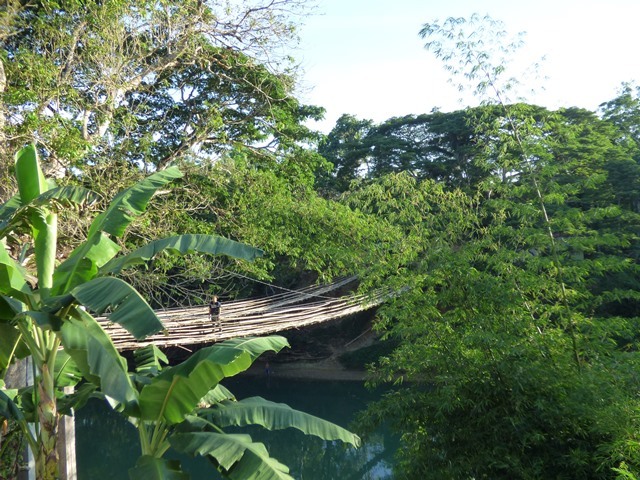 I had never taken my wife or son to this bridge; my wife read about it after our trip in 2009 and made it one of the must go to spots on this trip. The bridge or should I say the two bridges are not the same ‘bridge’ that I remember crossing in 1994. Nor do I recall having to pay to cross it. In 1994 I remember a bridge that was a little wider, less maintained and much more ‘creaky’ when crossing. The new bridges are definitely better built LOL. 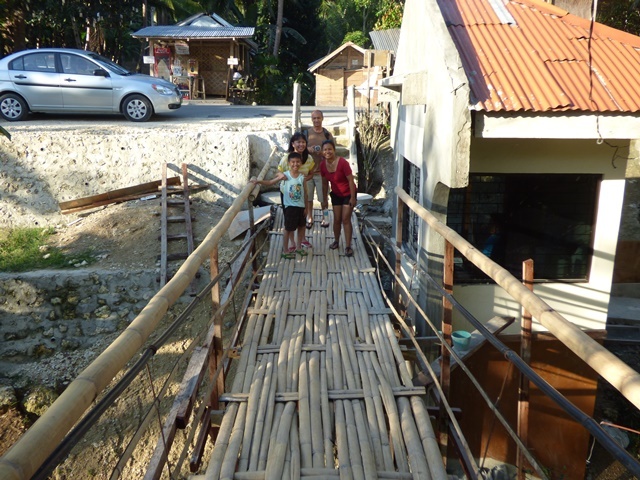 I was still fun to watch my family and friends cross this Bamboo Bridge 🙂 and a destination point in Bohol I would still recommend. 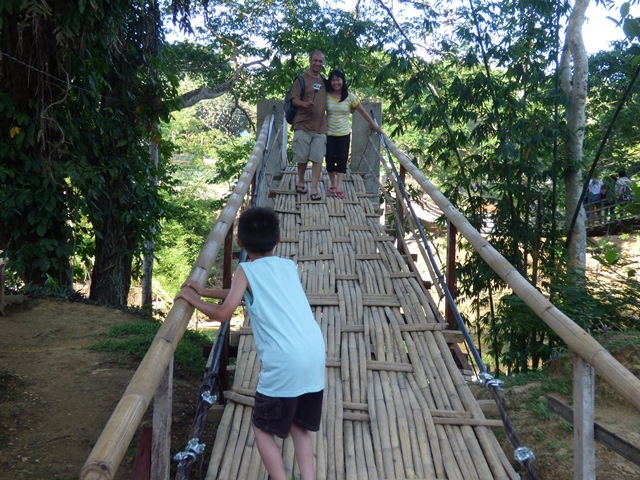 This entry was posted in bohol and tagged Bamboo Hanging Bridge, Bohol, Philippines, tour, travel. Bookmark the permalink.